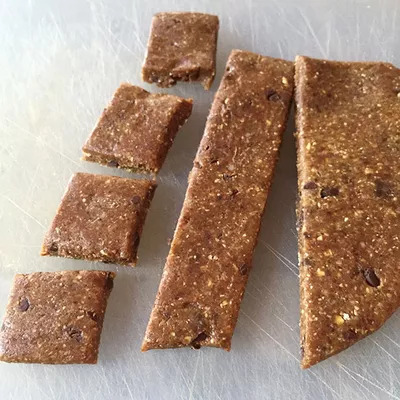 What makes energy bites so great? 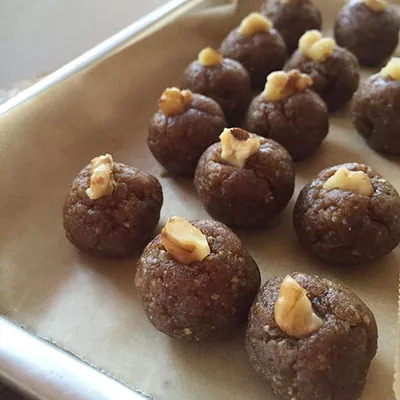 In short, they offer the taste and fun of a cookie, without the fuss or the added sugar. Here are five super easy (and tasty!) recipes you can whip together. If you get the 4 oâclock munchies (and really, who doesnât?) and find yourself turning to the vending machine for relief, stop! 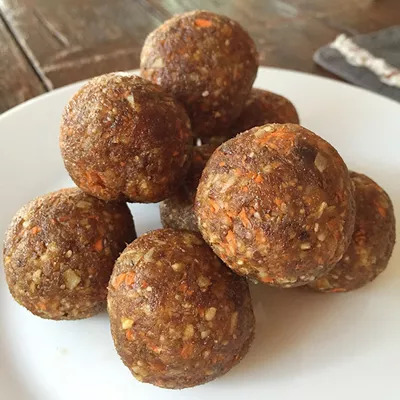 Whip up oneâor a fewâof these recipes and take a batch of energy bites with you to work for nutrient-packed snacks that taste like a treat. You can also keep a batch handy in your fridge at home, for snack emergencies around the clock. What makes energy bites so great? They're super easy to make (no baking required), and like smoothie bowls, they're an opportunity to get creative with nutritious foods like nuts, seeds, dried fruit, and more. 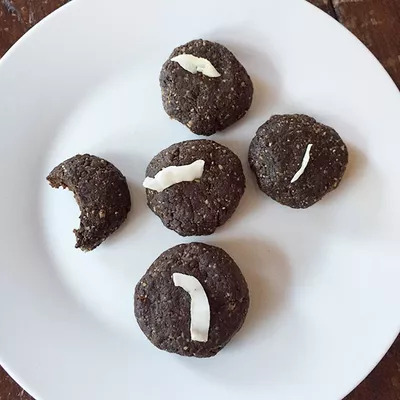 In short, they offer the taste and fun of a cookie, without the fuss or the added sugar. Here are five super easy (and tasty!) recipes you can whip together. For each one of the variations below, place all of the listed ingredients in a food processor, pulse to chop, then let the machine run for 1 to 3 minutes until a dough forms. Your finished bites can be refrigerated for a week or frozen for up to 3 months, so feel free to double any recipe. Just be careful not to overload your food processor. Finally, keep in mind these are a snack, not the basis of a meal. Stick with the serving size of one or two "bites." Pro tip: If for whatever reason, your finished dough is too dry and won't hold together, add a bit of water (1 tsp. at a time) until itâs moistened just enough. Pro tip: You can shape the energy bites into little balls, like truffles, or shape them into disks. Or put the dough in a ziplock bag, squeeze out the air, seal the bag and press the dough into a flat layer. Refrigerate until firm, then cut away the plastic and cut the dough into shapes with a sharp knife. 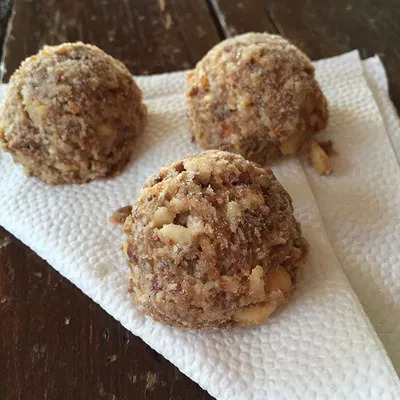 Pro tip: You can also roll them in finely chopped nuts or shredded unsweetened coconut for extra texture and flavor. Pro tip: Substitute different nuts for the ones called for, if you like. Try pecans instead of almonds, or macadamias in place of cashews, for example. Or use a mix of nuts. Sunflower seeds also work well. Nuts can be raw or lightly toasted.